In 1980 The Empire Strikes Back was released in theaters and broke box office records. Not surprising in hindsight given it was the sequel to the most popular film ever made, but during production George Lucas wasn’t sure if the film was going to be the huge hit everyone expected it to be. With budget problems, extended shooting schedules, disgruntled actors and major setbacks seemingly every step of the way, Empire was not an easy film to make. While 2020 marks the 40th anniversary of the film’s release, I wanted to celebrate the 40th anniversary of the making of the film which took place 40 years ago today and go back and revisit some of the highlights as well as the ups and downs that occurred during the creation of this epic movie. Four decades ago filmmaker George Lucas handed the reins of his big budget Star Wars sequel over to director Irvin Kershner and producer Gary Kurtz. 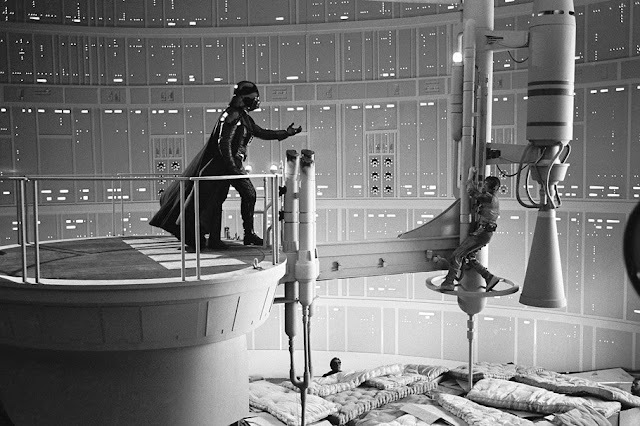 Having just finished directing the original Star Wars roughly two years earlier, Lucas had decided that he was done directing and planned to remain behind-the-scenes for the follow-up, The Empire Strikes Back. This was due in part to Star Wars taking a major toll on him and also out of necessity as he was in the midst of re-forming his own production company (Lucasfilm) and effects studio (Industrial Light and Magic) all so he could leave the Hollywood system behind him and retain control over all of his films moving forward. Lucas bet the ranch – quite literally – on Empire being as big a hit as Star Wars, giving him enough money to fund his dream project, Skywalker Ranch. This filmmaker’s utopia would be set in the hills of Marin County just north of San Francisco and 400 miles even farther north from Hollywood. He envisioned a safe space for filmmakers to come together and be creative and free from the corporate greed of the Hollywood studios. Inspired by his friend Francis Ford Coppola’s San Francisco based production company, Zoetrope, Lucas knew he potentially had the means to not only make his own movies the way he wanted to make them, but also build something that would allow others to do the same. It was a grand vision and it all rode on the success of one of the most highly anticipated movie sequels of all time. The only problem was if the film didn’t work Lucas would be in debt for the rest of his life. 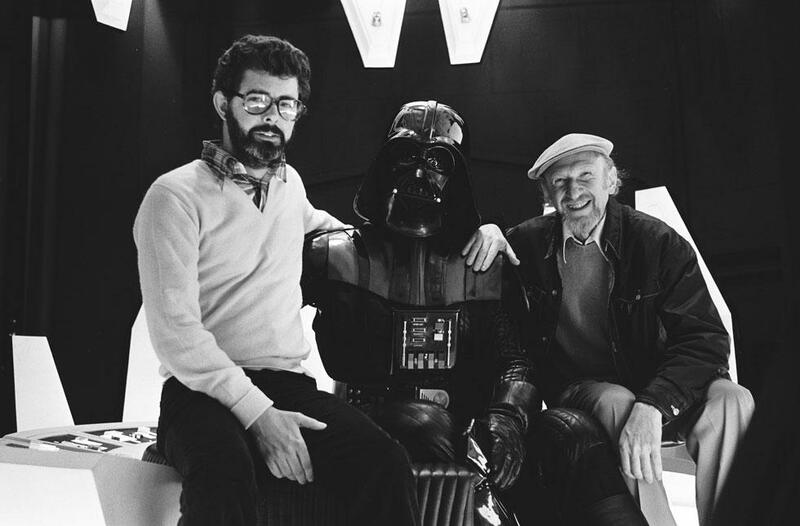 Kershner made sure that he would be allowed to make the film he wanted to make to which Lucas agreed and promised him creative control over the picture. Kershner began story-boarding the entire script in preparation for production. Handing directing duties off to someone else took a huge weight off of Lucas who knew that Empire would end up being even bigger and more demanding than Star Wars had been. In addition he would also relieve himself of writing duties and find a writer for the script as there was nothing Lucas hated more than writing. He hired writer Leigh Brackett who had written many pulp sci-fi stories as well as feature films such as The Big Sleep, Rio Bravo and The Long Goodbye. Feeling confident that Brackett would be able to capture the space opera feel Lucas wanted Empire to reflect, the two began story meetings in late 1977 and put together an outline that Brackett would use to pen the first draft of what she simply titled, Star Wars Sequel. On February 21st, 1978 Leigh Brackett sent Lucasfilm her draft of the script and to Lucas’ dismay he found it to be very far off the mark of what he had envisioned in his head. Realizing she might not be the right choice, he reached out to discuss the script with Brackett only to discover that she was in the hospital. Less than a month later she died of cancer. With no one to turn to Lucas took the plunge and wound end up writing the second and third drafts of the script himself. It was during this time that he turned Darth Vader into Luke Skywalker’s father and would forever change the Star Wars universe. Lucas has said that it was the most fun he’s ever had writing. Still in need of a writer to complete the script he turned to Lawrence Kasdan whom he had just hired to write Raiders of the Lost Ark. Kasdan was a perfect fit for the story and would finish a fourth draft in October of that same year. Lucas, Kasdan, Kurtz and Kershner all got together shortly thereafter in story conferences to flesh out the script and make sure that it delivered what it needed to in terms of characters, plot and action. It was during these story meetings that Kershner and Kurtz would push more for character development while Lucas wanted things to be fast paced with very little exposition. Kasdan struck a bit of a median between the two opposing ideals and helped keep the script tight while writing characters with more depth and emotion. It would be the beginning of a divide between both camps that would last throughout production on the film and ultimately lead to Lucas and Kurtz parting ways before the film’s release. A fifth draft of the script would be completed the following February and would be the shooting script used during production. While the script retained very little (if any) of Leigh Brackett’s original first draft, Lucas left her name attached as one of the writers out of respect. With a script in hand the cast and crew would fly to Norway to begin production on the film. March 5th, 1979 marked the first day of production on Empire and over the next 6 months it would take them all through hell and back. The film went over budget almost immediately as unexpected costs hit the production at every turn and Lucas was at risk of losing his loan with Bank of America and was forced to restructure the loan with First National Bank. The new loan offered an extended credit line totalling $31 million dollars (double the original budget) and was secured only after re-negotiating with Twentieth Century Fox giving them more distribution money. Lucas blamed the overages on Kershner and Kurtz who were taking too long to shoot scenes and required him to fly to London several times during production to make sure everything was kept on track. 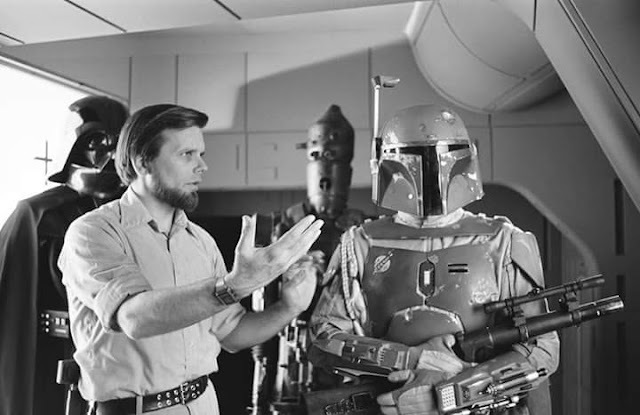 In the end Lucas admitted that it was his own fault for not being more hands-on with the production as to why the film went over budget, but the rift that had developed between he and Gary Kurtz during the movie would grow to the point that Kurtz ended up resigning from Lucasfilm in December of that same year. Empire’s production took many hits – most notably the death of Production Designer John Barry due to meningitis. 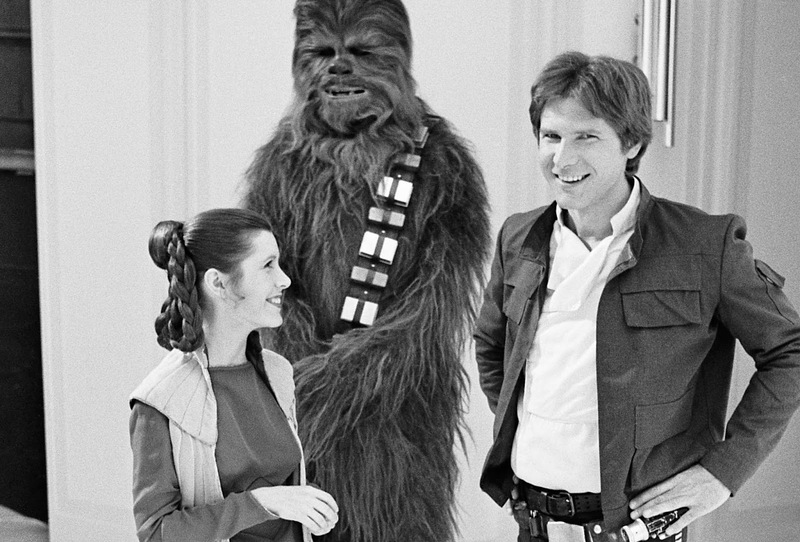 While filming in Norway the crew got caught in the worst blizzard of the past 50 years, Mark Hamill wound up breaking his thumb while filming a stunt scene, a day’s worth of footage was destroyed by accident, Carrie Fisher and Harrison Ford both ended up getting sick during production and Irvin Kershner got hit in the head with a cable gun. Not all things were bad however as Mark Hamill and his wife Marilou gave birth to their first child, Nathan half-way through production. Empire also saw the return of Sir Alec Guinness to the role of Obi-Wan Kenobi and Lucasfilm built a newly conceived four-projector-head optical printer for compositing allowing for blue screen shots that would have been nearly impossible to create prior to the printer’s existence. In the end Lucas and company pulled it off and on May 21st, 1980 Empire was released to theaters to much success and praise from both critics and fans alike. While there was criticism hurled at the movie by some, the box office numbers overwhelmingly silenced the voices of dissidence as the film raked in nearly $210 million during its initial run. Empire was a hit and Skywalker Ranch would go on to become one of the leading film-making communities in the world. ILM would become integral in creating some of the most well-known effects in movies over the next 35+ years while George Lucas became a household name going on to produce the Indiana Jones franchise, helped develop Pixar and ushered in digital technology as part of the film-making process during production of the Star Wars prequels. 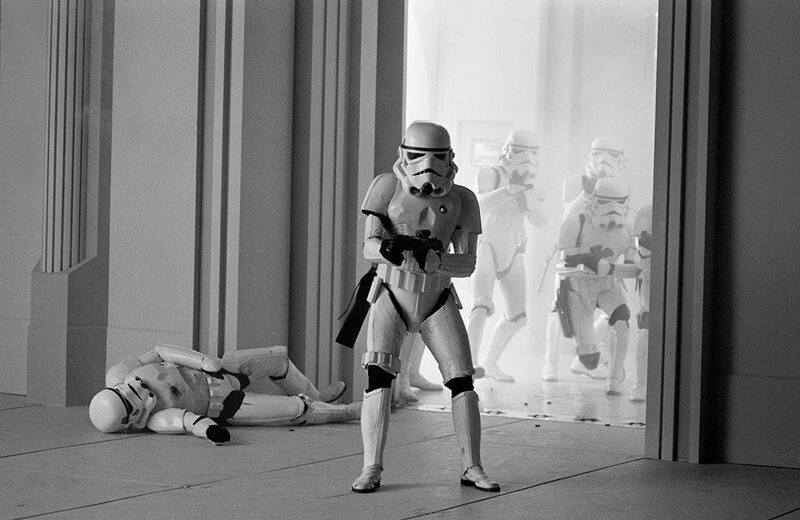 Nearly 40 years later fans and critics alike continue to herald Empire as the best Star Wars film of them all and many claim it to be the best film sequel of all time. This writer couldn’t agree more. Justin Berger is an independent filmmaker and writer who enjoys sci-fi and fantasy. He is currently writing The Empire Strikes Back Unauthorized Timeline book coming this fall. You can follow him on Twitter @tesbtimeline or join his Facebook ESB Group at https://www.facebook.com/groups/ESBfocus. He likes to spend what little free time he has watching movies, listening to music and plotting to take over the world.